We've all had issues with the GTA Online servers, bugs and crashes. That’s been hashed and rehashed over and over again since the game’s launch. Moving beyond that, the true beauty of the game still shines through. The open world sessions can accommodate up to 16 players all running, biking, driving around, gunning, running people down or even blowing them up. 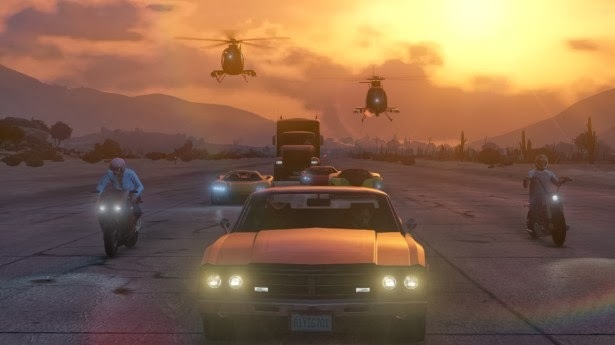 GTA Online is a vision of what an apocalypse would be if 16 immortal Humans used a quasi-life-like Los Angeles as their playground. 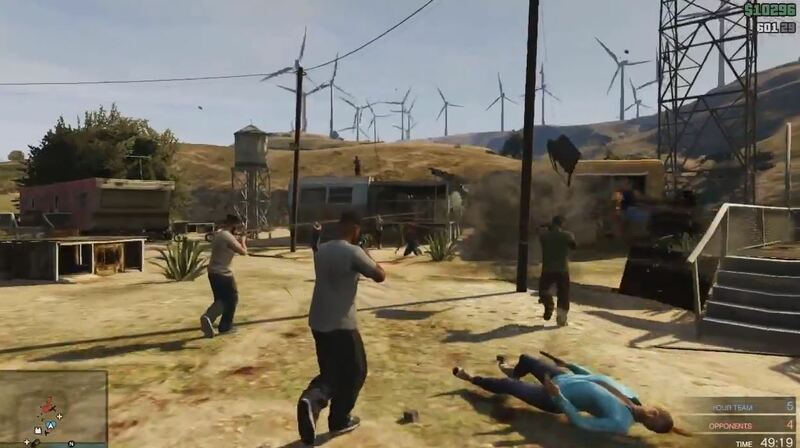 Be it flying planes into gas stations to create over-the-top explosions or gunning down a seemingly infinite amount of police officers while camped out on a pier, GTA Online presents players with the option to be Gods among men with an added bonus; their friends can be there too. Any GTA player can attest to all the crazy, over-the-top stunts they've pulled but nothing beats doing it with your best friend in the passenger seat and the two of you whooping and hollering as your car does a quadruple-360-spin-flip bouncing down a mountain. Too many reviews and discussions have focused on the negatives this game has. Forget the still wonky auto-aim functioning, I don’t want to play Call of Duty in my GTA game and I really don’t mind that it helps me aim. When I am bev’d up and running around with three or four friends I am not there to carefully and precisely aim so I can get that perfect shot. If the game wants to auto-aim for me and let me spray and pray I’ll take it. I have one complaint about the game which goes back to the 16 immortal human theory. All too often while shopping for clothes or buying a candy bar to get some health back, some random guy will pull up in his tricked out Prius and mow me down with a few hundred bullets. The worst part isn't losing my $100 dollars in cash or some ammunition. Spawning 100 yards from where I died in any direction and having to trek back to my car and hope the guy isn't driving around searching to kill me again. The solution Rockstar has is their "Passive mode" which can be bought for $100 and it lasts until you die. Except that it doesn't work. All too often do I still get run over by another player and lose both my $100 I paid for passive and the $100 to $200 dollars for dying. While this is a pretty minor issue and really becomes less often of an occurrence at higher levels, it made getting into the game at early levels pretty difficult. 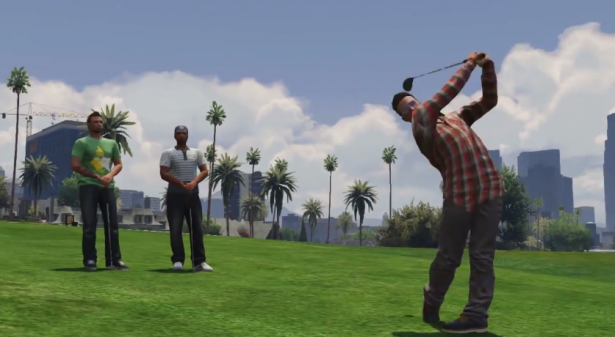 A lot of complaints address that GTA Online and GTA V have simplified many features, specifically the driving. The design team has admitted that they simplified the driving, expressing concern that they thought GTA IV took its driving too serious and it didn't create a fun enough experience. I am happy with the GTA V/Online driving mechanics because once again I am not looking for an Urban City Simulation game. I want a game that lets me be a gun-crazed lunatic murderer in one of the United States most iconic cities. GTA V let me do that and GTA Online lets me do that with friends. With that, I think Rockstar has hit the gold mine, oil reserve, priceless unobtanium deposit and I hope they mine it for all it is worth.